It’s light weight, and with less overhang which is perfect for smaller lathe spindles. The small 1.79″ body length delivers less overhang from the spindle than the larger geared Chucks – the SuperNova2 Chuck and the Nova Titan Chuck, reducing stress on smaller lathe spindles. 4 Jaw self centering geared chuck, suitable for smaller lathes with up to 14″ swing. Fully featured chuck including Auto Stop, Copper composite Jaw Slides, Woodworm Screw, Comfortable T Bar Handle and 2″ Jaws. Powerful Tuff Lock gearing with precise, hardened action delivers incredibly smooth strength for a solid, vibration free performance. Takes the same accessory range as other NOVA Chucks. Insert Type Chuck, requires additional insert adaptor to fit to lathe. • High Tech Precision Composite Jaw Slides. • Special NOVA Woodturning Dovetail Profile on Jaws. 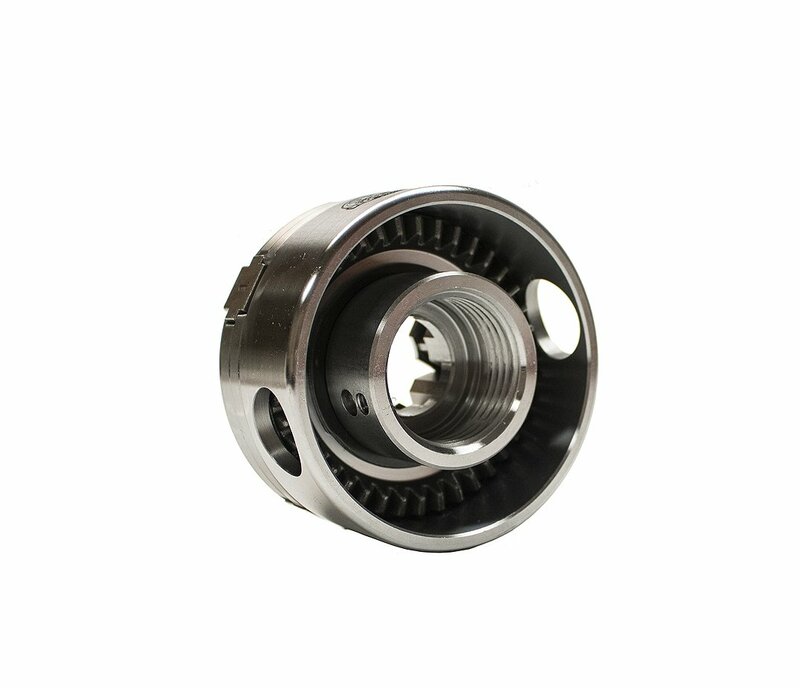 • Common Insert/Adaptor Fitting – compatible across all NOVA chucks. • Open back for easy cleaning. • Single Handed Operation. Chuck key has fast, positive location, easy and comfortable to use. More time spent turning and less time spent preparing. 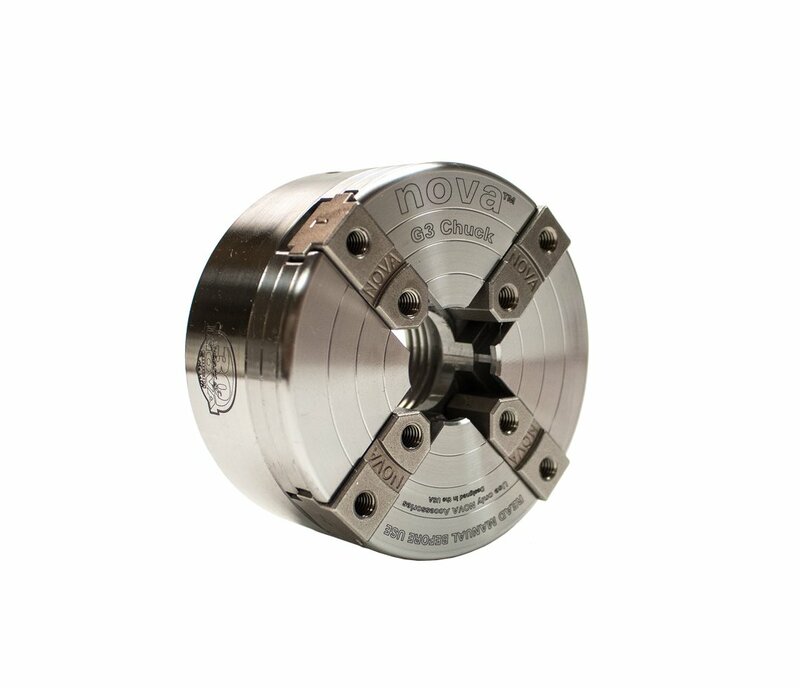 *The larger accessory jaws in the NOVA chuck range are not recommended for use on the NOVA G3 Chuck. For more information, consult your NOVA Accessory Jaw Manual. 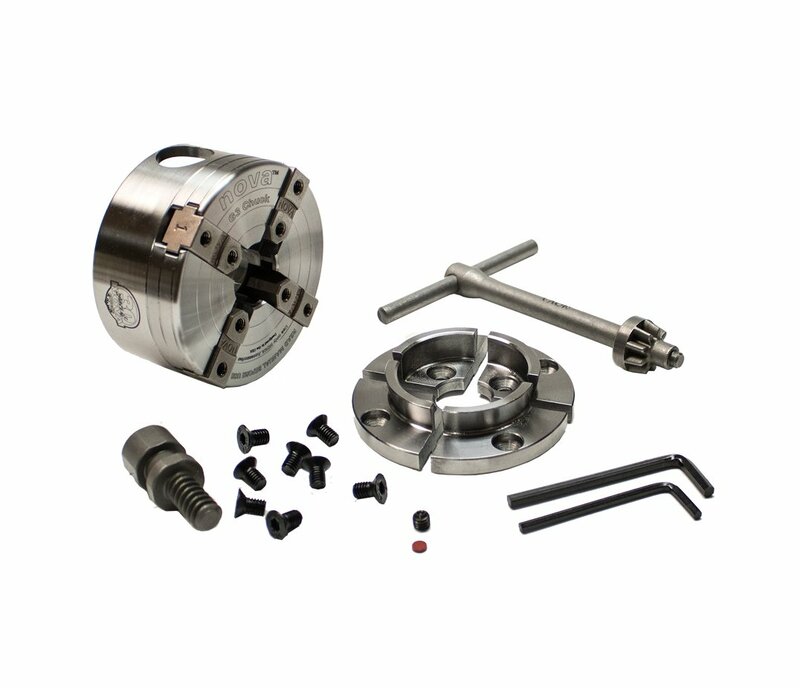 Only NOVA Chucks give you the same jaw fixing system and same insert/adaptor system across all chuck models. • Full Packaged Weight = 1.4kgs/3lbs. 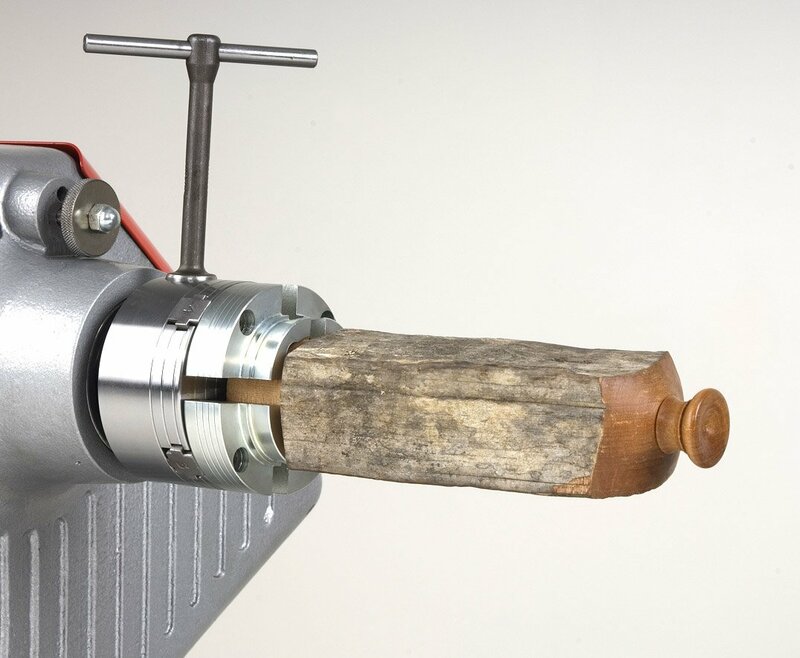 *If your lathe is less than 14” diameter swing, please see the NOVA Precision Midi chuck. 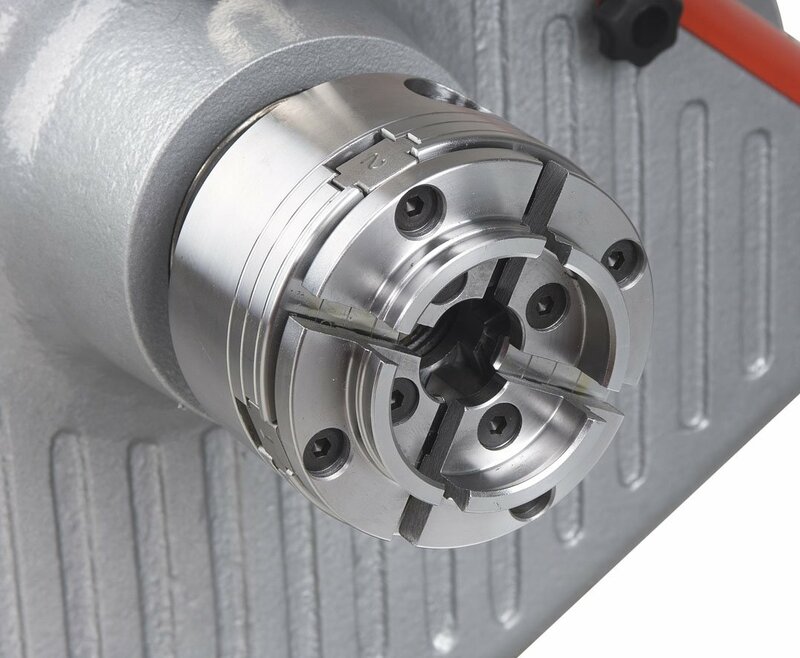 If your lathe has more than 14” diameter swing, please see the SuperNova2 Chuck or the Titan Chuck.